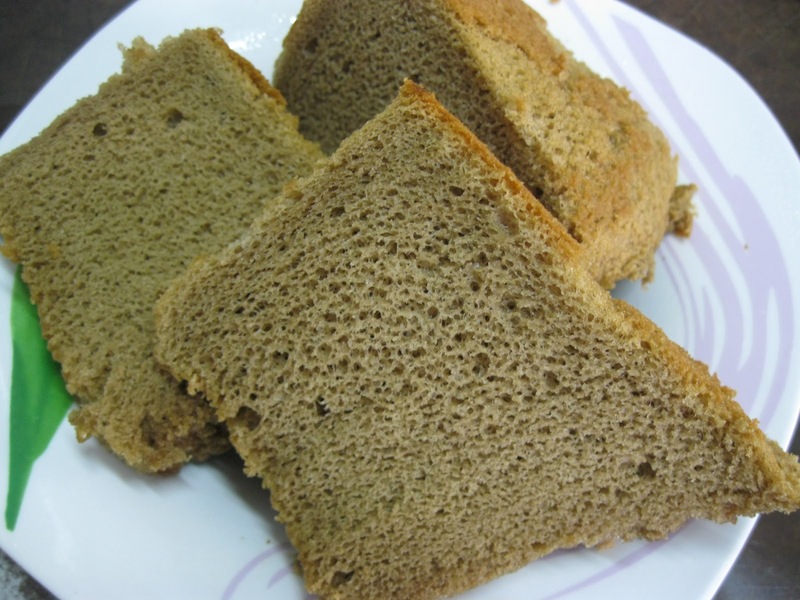 I ask my mum "Do you want eat coffee chiffon cake? "My mum answer me "I already want to ask you make coffee chiffon cake. "My mum and me super love coffee.Everyday must drink one cup of coffee.If not the day is not complete.I think many people also the same,right?I always say to my colleagues,no coffee no life.Haha..
Dissolve coffee granules and cocoa powder in hot milk. Set aside to cool. Beat egg yolks.Gradually add sugar.Then add in vanilla extract and oil. Then add in coffee mixture. Beat until well combined. Fold in flour slowly until it forms batter and no lumps.Set aside. In another bowl, beat egg whites until frothy, then add cream of tartar and beat until soft peaks form. Gradually add sugar and beat until stiff. Fold the beaten egg whites into the egg yolk mixture. Fold until well combined. Pour the batter into an 22cm ungreased tube cake pan and bake for about 50 minutes. Remove cake from oven immediately and invert to cool down totally. 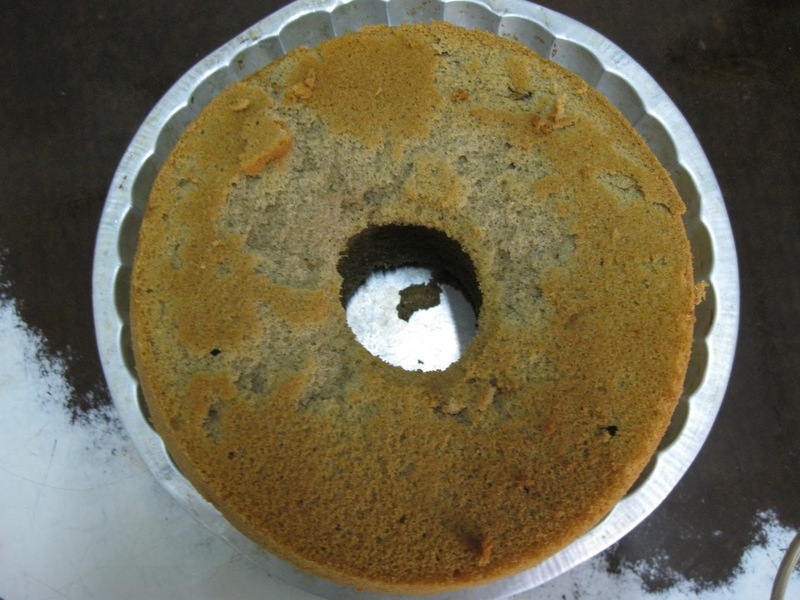 Be patient and wait for cake to cool down completely before removing from pan and slicing.